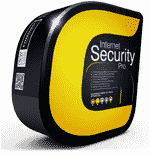 Comodo Internet Security Pro offers extreme protection backed by Comodo's Virus-Free Guarantee. Combined with additional features such as 24/7 365 day remote support, Comodo Internet Security Pro offers a better solution to your Internet security needs. Our sandbox technology automatically locks unknown files in a secure environment while our Valkyrie system tests their behavior in real-time - protecting you against malware that the virus industry hasn’t even discovered yet. If a PC that has Comodo Internet Security Complete installed becomes infected with a virus or malware and cannot be restored to working condition by our support team, we will cover the cost of repair by a Comodo certified service up to $500. Our Experts will clean your PC, uninstall old antivirus, and ensure your PC remains clean. Secure Shopping lets you shop and bank online with confidence. This breakthrough technology isolates your browser inside a secure container which cannot be hacked, tracked or viewed by malware or internet thieves. Tracks down and destroy any existing malware hiding in a PC. Detects spyware threats and destroys each infection. Scans, detects & removes rootkits on your computer. Prevents malicious software turning your PC into a zombie. Protects critical system files and blocks malware before it installs. Runs unknown files in an isolated environment where they can cause no damage. Cutting-edge protection against sophisticated buffer overflow attacks. Kills malicious processes before they can do harm. Comodo Internet Security Premium has been listed as one of the Top Products in the Feb, 2018 AV-TEST. 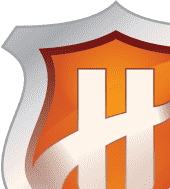 With highest scores in protection and usability, our Internet security product is now considered to offer the best antivirus software for Windows home user. Best Virus Prevention Technology on the Market. Guaranteed. Comodo Internet Security Pro guarantees protection against viruses and malware, focusing on prevention not simply detection. Our patent pending prevention based technology creates an impenetrable shield that identifies safe, unsafe and questionable files. Comodo Internet Security Pro offers real-time protection against Viruses, Trojans, Adware, Spyware and other Malware threats. Other Antivirus products depend on signature updates alone, but Auto Sandbox Technology™ means you're protected from even unknown threats. 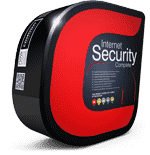 Comodo believes security software companies should stand behind their products, which is why we back Comodo Internet Security Pro with a unique guarantee. If your PC ever becomes infected, our online technicians will correct the problem at no addition cost to you. To back this up, Comodo's Guarantee covers your PC with up to $500 for repair costs, should your PC become infected with a virus or malware and we can't restore you to working condition. With Comodo Internet Security Pro, you get Security, Software, Support plus peace of mind. Comodo Internet Security Pro is more than a security suite, it also offers 24/7 access to our highly trained PC experts ready to provide support anytime day or night. Just click the desktop icon and you will be connected to a Comodo security expert who will assist you via chat and remote connection to your desktop. The internet security software performed good and fully scanned my device. It is a easy to use product with simple and neat interface with all key functions available at a click. I wondered what is Virus-Free Guarantee. Use it and you'll know what it is. The best protection software I have come across.. it has the very best features all under one roof..
bIm not sure if this helps but I must say it is an interesting approach. Comodo's Firewall consistently ranks among the highest in industry tests. Proactive protection to automatically isolate threats from suspicious files so they can't cause harm actually preventing infections not just detecting them. Cloud based whitelisting of trusted publisher easily identifies a safe file and vendor. To reduce interruption to the user, unknown files can only run in a secure virtual environment where they can't damage Windows, its registry, or important user data. Total security for online shopping and banking. Features browser isolation, keylogger prevention, copy-paste protection, screen capture blocking and SSL certificate inspection. Comodo Internet Security Pro relieves you of the responsibility of deciding whether to block or allow untrusted files - it makes the decisions for you. Game Mode suppresses operations that could interfere with a user's gaming experience such as alerts, virus database updates or scheduled scans. 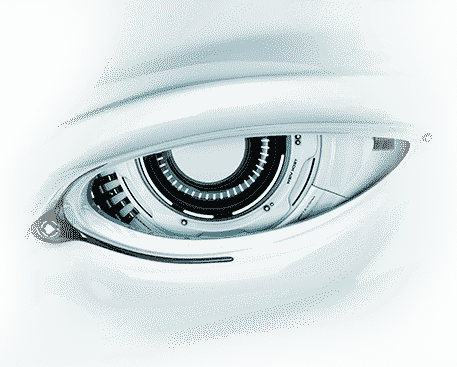 Spyware Scanner detects and cleans malware infections in PC registry and disks. Cloud based antivirus scanning detects malicious file even if a user does not have up-to-date virus definitions. If a PC that has Comodo Internet Security Pro installed becomes infected with a virus or malware and cannot be restored to working condition by our support team, we will cover the cost of repair by a Comodo certified service up to $500. Windows 10, Windows 7, Windows Vista and Windows XP (32-bit and 64 bit versions available). * Comodo's Protection Plan is included with Comodo Internet Security Pro and is available for one (1) year from the date of your software registration and installation. Please see Comodo Internet Security End User Subscriber Agreement (www.comodo.com/repository/eula/EULA-CIS.pdf) and Summary Description of Benefits for Personal Internet & Identity (https://accounts.comodo.com/cfp/management/idtheft) for complete details. Comodo Internet Security Pro 30 Day Trial excludes Comodo Protection Plan. Comodo Secure Shopping provides unbeatable security for online banking and shopping sessions by ensuring you connect to those websites from within a security-hardened browsing environment. Comodo Internet Security prevents even the very latest malware from infecting your system by isolating unknown and suspicious files inside a security hardened virtual environment. Applications executed inside the sandbox will not affect other processes, programs or data on your real computer. In addition to running suspicious applications inside the sandbox on an ad-hoc basis, you can create a specific list of programs that should always run in the sandbox. Comodo GeekBuddy is a personalized computer support service provided by friendly computer experts at Comodo. Virus & Malware Diagnosis / Removal - Our technicians remotely clear any detected viruses or malware found on your PC. Internet and Online Identity Security - Optimization of your computer's security settings to prevent loss of sensitive data and identity theft. Printer or Email Account Setup - Installation or updating of printer software and/or drivers, checking ink levels and configuring your printer to work on a wireless or wired network. We set up your Internet-based email account - any provider, any account. Great for new computers and novice email users. Software Activation - Installation, configuration, and activation of third party software in your system. General PC Troubleshooting - Detailed system check to identify and eliminate basic hardware and software conflicts in your Windows PC. Computer Power Setting Optimization - Optimization of your power management settings based on how you use your computer. Your Geek will help you go green and save money on your electric bill. Printer Set Up - Let a PC pro install or update software and printer drivers, check ink levels, and configure your printer to work on a wireless or wired network. Comodo Software Installation and Set up - Installation and support of software supplied by Comodo. Comodo Account Questions - Clarification of any doubts regarding your account in Comodo. If your PC becomes infected, our online technicians will correct the problem at no cost for you. In addition, Comodo's Guarantee covers your PC with up to $500 for repair costs, should your PC become infected with a virus or malware and if we can't restore it to working condition. With Comodo Internet Security Pro, you get security, software, support and peace of mind. What makes Comodo Internet Security Pro better than my current Antivirus and Firewall? Comodo Internet Security Pro adds an additional layer of prevention called Defense+. This is what is known as a HIPS or Host Intrusion Prevention System. Antivirus software is a cleaning tool which scans for known viruses and removes them after they have already taken root. Comodo is a prevention tool as well as a cleaning tool, stopping potential viruses at the door. This works by inspecting each file that attempts to run on your computer and instantly comparing the files to White Lists of good files and Black Lists of dangerous files. If a file is not on either list it is restricted by our Auto Sandbox Technology™ so that you’re protected and can still work until the file is added to the correct list and either released or removed. How does the Remote Security Setup & Anytime Support work? Does it differ from traditional tech support? After activating your subscription included with Comodo Internet Security Pro, click on the desktop icon to begin your chat with a security expert. This service goes beyond traditional tech support by solving the issue for you through a remote connection and it is offered unlimited and 24/7 for up to 3 PCs per license. What makes Comodo's Internet Security Pro different from other Internet security suites? The best prevention is only effective if the user has the necessary support. That is why Comodo ensures that a technician is available 24/7 to assist customers clean their PC, uninstall old antivirus, and ensure their PC remains clean. Most PC issues are caused by malware and as a result, Comodo ensures that you’re not only protected but have a technician standing by to fix a problem, kill a virus or just make sure your not heading for disaster. How will Comodo keep my PC Virus-Free? Comodo Internet Security Pro will ensure your PC remains virus-free with its combinations of advanced features. Defense+ technology will ensure that no suspicious files are allowed to run on your PC. Its new Auto Sandbox technology will ensure that all programs are tested and run in a secure virtual environment before ever running on your PC - ensuring that no viruses are installed with them. What is the Sandbox and how does it protect me? The sandbox is a virtual operating environment created within your computer for unknown and suspicious programs. Comodo Internet Security Pro automatically runs suspicious programs in the sandbox where they cannot damage Windows, its registry or important user data. This protection goes well beyond traditional Antivirus software by ensuring any new viruses are completely isolated and cannot cause damage. What happens if my PC becomes infected by a virus while using Comodo Internet Security Pro? If you think you may have a virus, you should contact us right away by clicking the Live Support button in your software console. If you cannot connect to the Internet, your confirmation email and user manual includes an 800 number to call for support. If for any reason the PC cannot be restored to working condition by our support team, we will provide up to $500 in service time from a local repair center to get your PC working again. See End User License Agreement for complete details. Is it free for business users too? Yes. However, enterprises looking to implement Internet Security on large networks of workstations would benefit from the centralized management capabilities of Comodo Advanced Endpoint Security. Why should I upgrade to CIS Pro? Instantly chat with a Comodo support engineer at any time of day or night. Apart from getting expert advice on any product questions you may have, you can also ask your GeekBuddy to connect to your PC to run a personalized malware cleaning service on it. Just click the GeekBuddy desktop icon to connect. Each CIS Pro license covers 3 PCs, so you get 24/7 professional help for all your devices. If your PC becomes infected while CIS Pro is installed and cannot be restored to working condition by our support team, the cost of repair is covered up to $500.